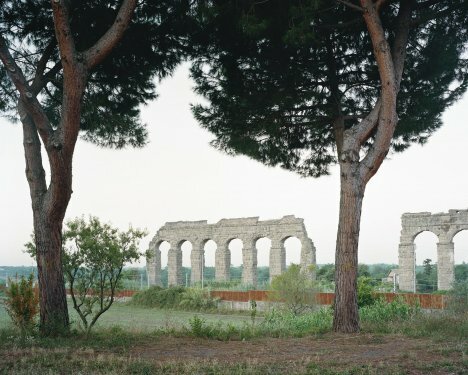 Five years after his stay in the Villa Massimo, the museum of the University of Buffalo shows an extensive selection of Roman works by Hans-Christian Schink. Photographic Recall: Italian Rationalist Architecture in Contemporary German Art assembles photo and video works by Caterina Borelli, Johanna Diehl, Günther Förg, Eiko Grimberg, Thomas Ruff, Heidi Specker and Hans-Christian Schink. The opening will be on February 9 at 6 pm. From March 16, 2019 we will exhibit a selection of the works from the Burma-series in our gallery in Erfurt.